Merida is perfect for those seeking to live out an active retirement, or those looking to raise a family immersed in the multi-culturalism offered by a city with a moderate expat population, while retaining its authentic Mexican culture. Rich in Mayan culture and history, the city of Merida is the capital of the state of Yucatan in Mexico. Not only is Yucatan home to some of the country's most important archeological sites, it has also become a settling place for many foreigners seeking the perfect place to live in Mexico. What sets Merida apart from the rest of Mexico is its perfect blend of cosmopolitan city lifestyle, with an authentic and unmistakable Mayan culture. This sets it apart not only culturally, but also politically. The city offers colonial charm, urban dynamism, and accessibility to all the region has to offer. The area is home to breathtaking secluded beaches, cultural and artistic events, and nature and archaeological reserves. 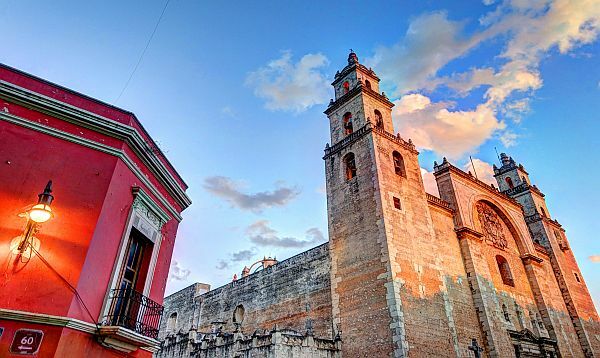 The city of Merida is booming with diverse culture, mouth-watering Yucatecan food along with international gastronomy, impressive colonial architecture, theaters, and museums. Plus, you'll find yourself never falling short of things to do in Merida including concerts, festivals, as well as cinema and theatre. On weekends, cars are not permitted inside the city center, transforming it into the perfect spot for a weekend stroll while you ponder the activities and sights to see in the city's magical plaza. Merida is perfect for those seeking to live out an active retirement, or those looking to raise a family immersed in the full multi-culturalism offered by a city that has a moderate expat population while retaining its authentic Mexican culture. There are an endless amount of reasons why Merida has become a favorite spot for those looking to buy a home in Mexico. Living in Mexico can be a dream come true for anyone who wants to give it a shot, and we're here to help. MEXLend is the most experienced residential mortgage broker in Mexico. We accompany you through the process of buying a home including securing home loans and Escrow services anywhere in Mexico.